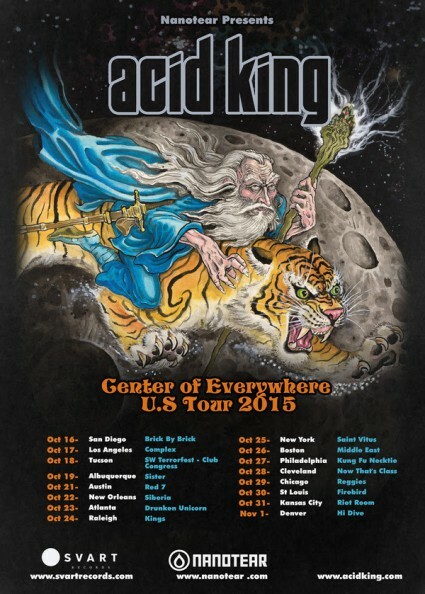 SAN FRANCISCO, July 20, 2015 – Acid King, one of North America’s original doom acts, have announced a U.S. tour, their first in nine years, kicking off Oct. 16th at Brick by Brick in San Diego. Tickets for this tour are on-sale this Friday. This entry was posted on July 20, 2015 at 6:04 pm and is filed under Hard Rock, Metal, Music, rock music with tags acid king, Metal News, metal odyssey, stoner metal. You can follow any responses to this entry through the RSS 2.0 feed. You can leave a response, or trackback from your own site.